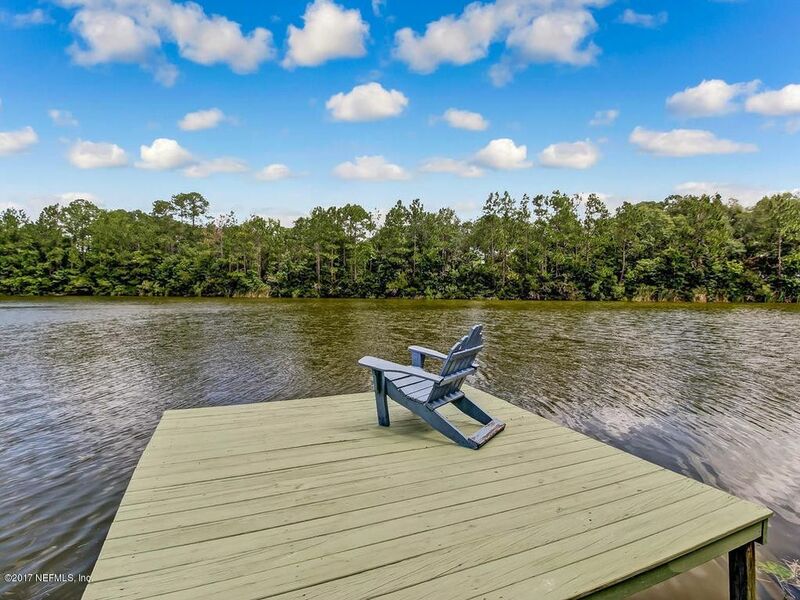 CHARMING LAKE HOME on 1.75 acres in Mandarin. 4 Bedroom/2 Bath 2,104sf home in mature neighborhood on gorgeous lot with lush landscaping & private dock. Home has Kitchen, Family, Formal Living & Dining Rooms & indoor Laundry Room. Family Room has vaulted beam ceiling & stone fireplace with sliding glass doors leading to your backyard oasis. Master Suite has vaulted beam ceiling & newly upgraded Master Bath w large soaking glass enclosed tub/shower w tile accents, & granite counter. Light & Bright Guest Bedrooms share an updated Guest Bath w large walk-in glass enclosed tiled shower, new vanity with granite counter. Formal Living & Dining Rooms are open & airy, perfect for entertaining. Large Kitchen has ample storage, solid surface counter and breakfast nook. Enjoy fishing or kayaking! Directions: From I-295, Go South On St. Augustine Rd., Right On Caron Dr., Left On Julington Creek Rd., Left On Sand Ridge Dr. To Right On Pond View Dr. Home On Left.